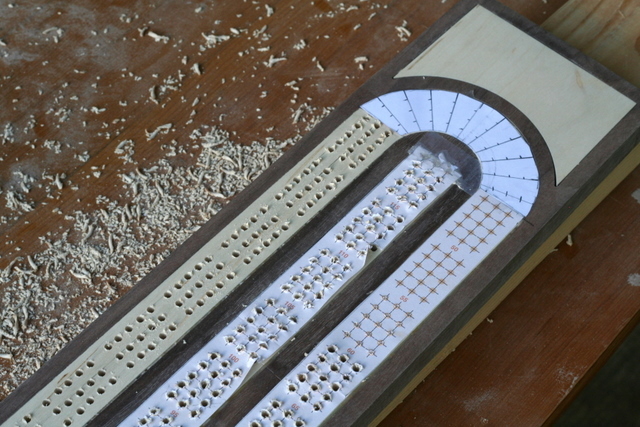 As a wedding gift for Ryder’s brother and his new bride, we decided to make them a cribbage board. 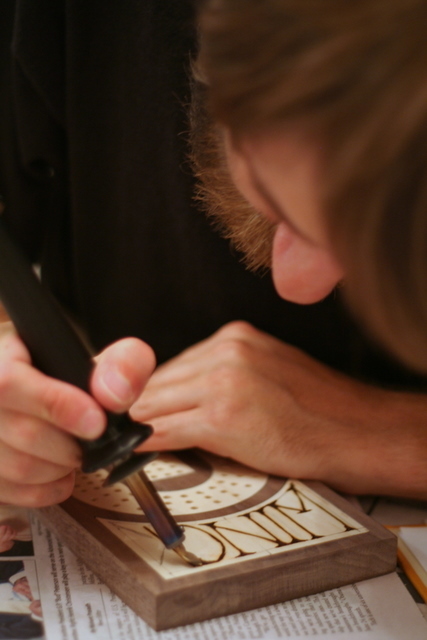 After finding a template online, we purchased two 3/4″ boards from a hobby wood shop – walnut and white maple. 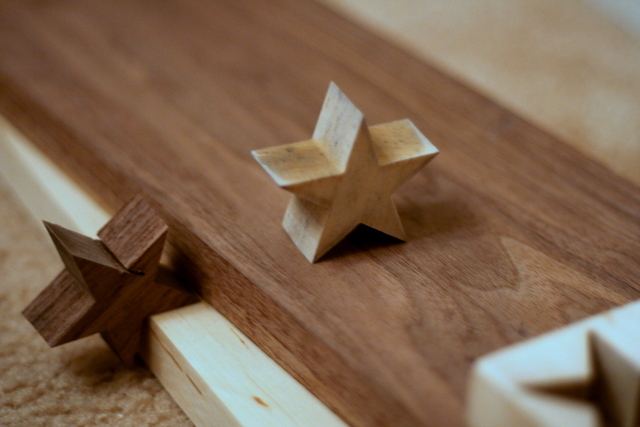 With two scrap pieces the same thickness, we taped them together and tried using our scroll saw to inlay the wood – cut through 2 pieces at the same time, then swap the inset pieces. The scroll saw just didn’t cut it though (har har). The wood was too thick and the blades too flimsy to cut straight lines. Fortunately Ryder has access to a water jet at school, so he made a test cut and it worked! 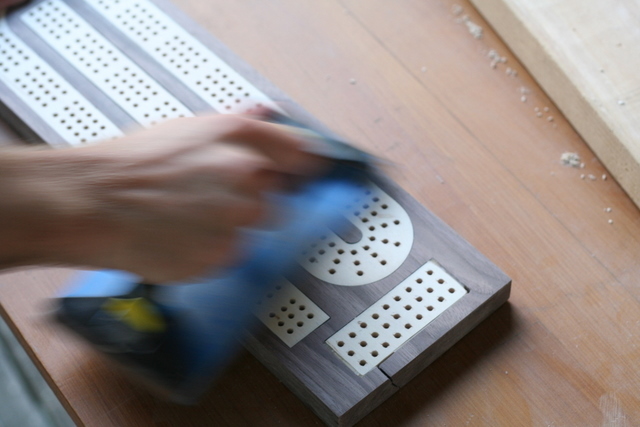 After cutting out the shape of the track along with a mantle piece at the top, we fit the pieces together, glued them in place, sanded the wood flat, and began drilling almost 400 holes. A final round of sanding. 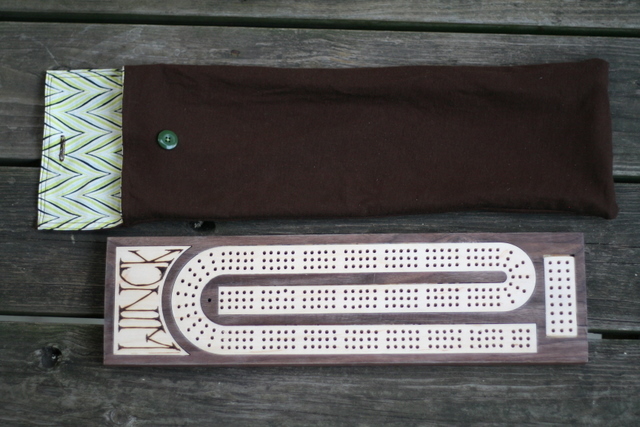 Ryder woodburned a “Winck” mantle above the cribbage track. 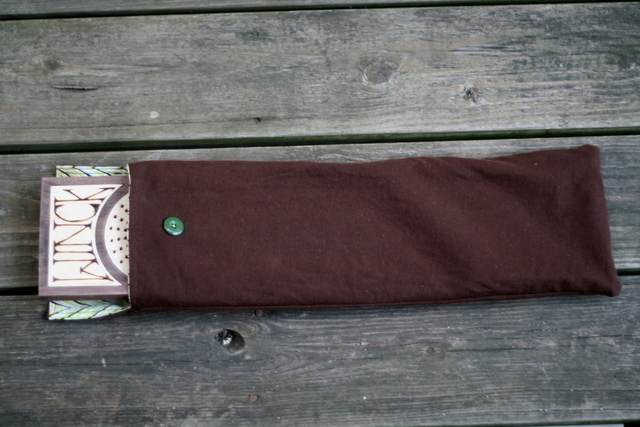 Meanwhile, I sewed a bag for the cribbage board. It’s just big enough for the cribbage board and a deck of cards. 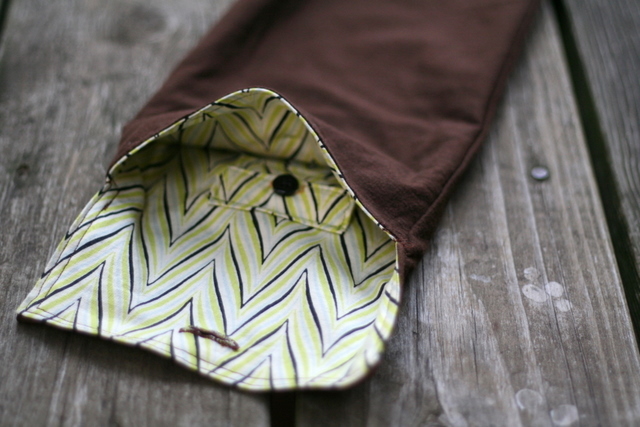 I added a tiny (1″x2″) pocket with a button flap inside, to store the cribbage pegs. We finished the board with a couple of layers of polyacrylic. 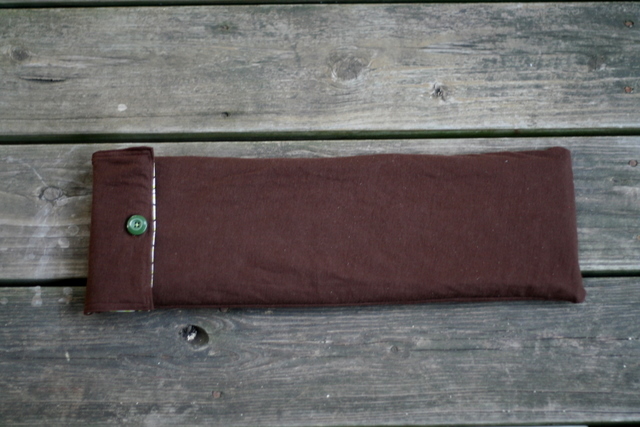 The bag is made of brown jersy on the outside, and a fun zig-zagged cotton inside. Ryder didn’t want the bag to look too frou-frou, so I kept it pretty simple/masculine on the outside. This entry was posted in finished, wood. Bookmark the permalink. This is AMAZING! Great job you two!! It looks fabulous! A true labor of love.